Essential oils form the basis of the cosmetics we use. Essential oils draw from the scent or taste of the plant, and that’s where they get their name from: the plant’s “essence”. Medical studies show that essential oils have legitimate therapeutic uses, as well as possibly their most important feature: their ability to relax. They can help alleviate pain, relax and soothe sore muscles, as well as affect cognitive functions, memory and mood. Cosmetics infused with essential oils have a wide variety of applications, from skin, hair, aromatherapy and fragrance: this guide will take you through the most popular, and how you can benefit from incorporating them into your life. Blue chamomile oil is one of the essential aromatherapy oils. Primarily used as an ingredient in skin-care products, blue chamomile oil is high in azulene, an active, organic compound known for its anti-inflammatory, skin-healing properties. As far as one can find an essential oil for skin, blue chamomile excels: it can be used to treat myriad skin issues, such from bruises and burns to eczema. Chamomile oils are also recognised for their calming properties, with blue chamomile oil radiating towards promoting relaxation and deep, restful sleep. What’s more, the sedative effects of blue chamomile’s therapeutic profile come without depressive effects. 1000lbs of citrus aurantium (orange) blossom flower is needed for just one pound of neroli oil. The true value of neroli oil is in its versatility. The strong floral smell makes neroli one of the most attractive essential oils for aromatherapy; alluring and intense, the scent of neroli oil remains strong event after dilution. This is why it has been used in the perfume industry since the tree was taken to Florida by the Spanish in the 1500s. Further to its fragrance are the benefits of applying neroli oil to the skin, helping the treatment of wounds and boosting natural skin regeneration. Furthermore, neroli oil has been used to counteract anxiety, depression, digestive issues, lethargy and stress. When applied to a cold or hot compress it can also alleviate headaches. Native to Australia, the evergreen tree’s leaves’ enduring popularity is testament to its versatility. Eucalyptus is powerful biocide. It’s antimicrobial and herbicidal, and is effective against many bacterial strains, and because of this is often used to treat abrasions, cuts, sores, wounds and other skin problems, whilst acting as a natural pain reliever. As an expectorant, eucalyptus oil cleanses the body of toxins. Several drops of eucalyptus in a diffuser can help fight colds. What’s more, eucalyptus can also help cleanse the air around your house, killing mold whilst preventing odors from developing. Bergamot oil comes from the plant of the same name, a citrus hybrid of regular and sour lemons. The oil is extracted from the peel, via cold compression. By far the most common use of the oil is in the form of tea: Earl Grey. 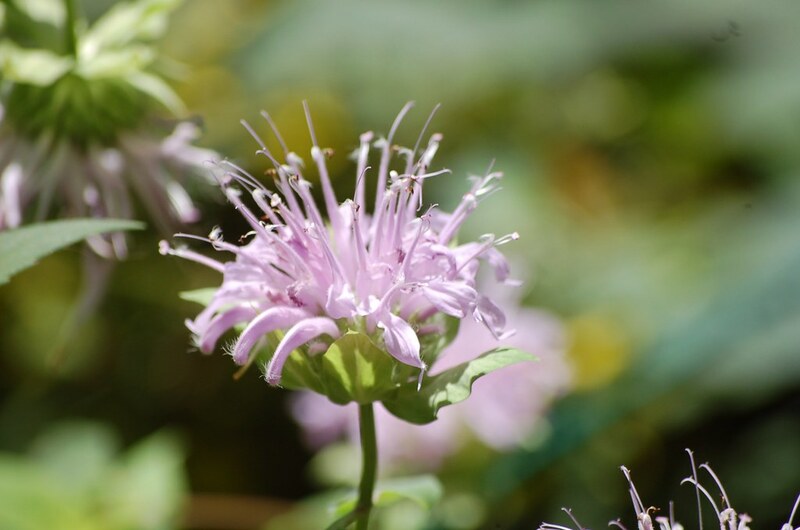 One of the primary uses for bergamot oil as an essential oil is in aiding the digestive system. It stimulates muscles contractions in the digestive tract, whilst encouraging the production of digestive juices. These effects, when paired, accelerate the digestive process. As well as being good for digestion, bergamot oil excels in other areas. It can be used as a natural deodorant, as well as helping infected teeth. Furthermore, it is said to relieve both pain and stress, whilst acting as an antidepressant. Originally extracted by Native Americans to treat sores and wounds, jojoba oil soon assumed roles as an additive to motor oil, transmission oil and differential gear oil. In terms of the mechanisms of our body, jojoba oil is just as adaptable. Jojoba oil is very common in cosmetics, as it happens to be one of the best essential oils for hair. Its molecular structure is very similar to sebum (the scalp’s natural oil), meaning it’s great for hair treatment. It hydrates hair directly from the shaft, and adds elasticity, shine and softness. Jojoba naturally enhances your skin, which is why it’s so popular in lotions and moisturisers. It is intrinsically geared towards preventing irritations and roughness. Lavender oil has, for the longest time, been a go-to for everything from encouraging restful sleep to enhancing blood circulation. The latin name for lavender, lavare, means to wash; drawn from the clean aroma it exudes, it empowers your body’s natural cleansing processes. A dash of lavender essential oil on your pillow at night will improve your sleep. Its calming effects make it a great tonic for anxiety and other nervous issues. This treatment extends to it being an ideal way of relieving migraines, headaches, emotion stress and even depression. When applied to skin, lavender oil inhibits the bacteria that cause the initial infections that cause breakouts. It also reduces the scarring after the fact. Beneath the skin, lavender oil has many other benefits: lavender essential oil aromatherapy helps blood circulation, respiratory issues and digestion.